California is one of the tourism capitals of the United States, and with good reason. The beautiful weather year-round, gorgeous nature, the glitz and glamor of Hollywood close at hand. There’s a lot of roadside attractions, amusement parks, and just plain fun stuff to do in California. And of course, there are a lot of ghosts. California is a haven for poltergeists, cryptids, and all the other attractions that draw in the paranormal enthusiast. Who knows why the spirits love California so much? The state has its share of sad stories, to be sure, but so do many other states. There’s a fair bit of bloody history as well, between the Wild West and the Gold Rush, and more. Maybe they just enjoy the weather as much as we mortals do. It can be tough to leave California once you’re here. What is extremely apparent is that many of those tourist traps in California are haunted attractions indeed. They’re fun not just for the run-of-the-mill vacationer, but for the ghost hunter as well. Well, if you define “fun” as “being scared out of your wits”, anyway. Feel free to plan your next road trip around these 10 scariest haunted attractions in California. And enjoy yourself! The infamous island prison of San Francisco is as well-known for its haunted attractions as for its historical significance. There are a number of ghosts and paranormal mysteries surrounding the former fortress. Most dramatic are the tales of a ghostly lighthouse. Yes, that old abandoned lighthouse looming above the prison has been said to come to life on the darkest of nights. When the fog rolls in thick and nothing can be seen, some say that the lighthouse suddenly pierces the gloom with an eerie green light. It sweeps across the entire island, slowly, and then goes out. Nobody has manned the lighthouse in many years. This very popular and still operational tourist attraction is also one of the most haunted attractions in the area. Built on the site of a gravity hill, the owners and operators of the Mystery Spot have spared no expense or creativity in exploiting their paranormal find. 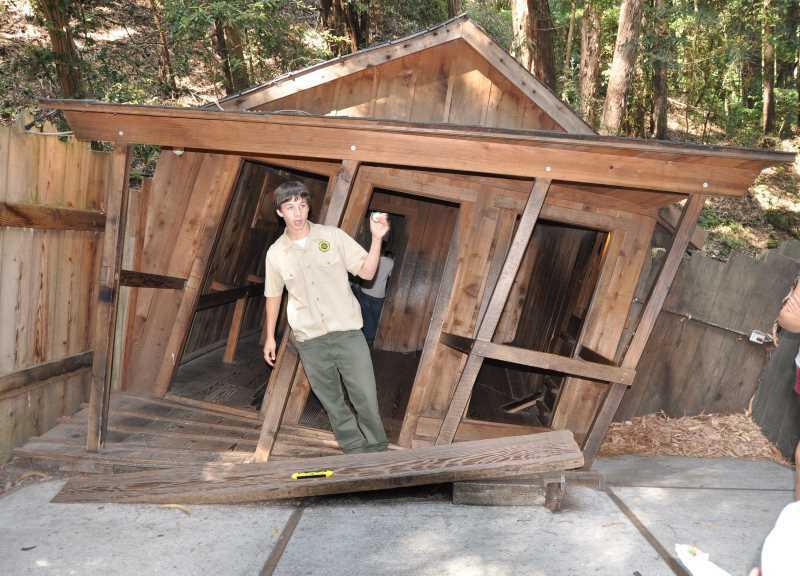 The actual Mystery Spot itself is tiny, only about 150 feet in diameter. It is said that within its confines, the normal laws of physics do not apply. Water can flow uphill, the ground angles steeply and seemingly at random, and a number of other visual anomalies can occur. There are plenty of people who attempt to explain away the science behind these and other haunted attractions. The proprietors of the Mystery Spot maintain that some things are simply beyond human understanding. What is for certain is that some very strange things can happen there. 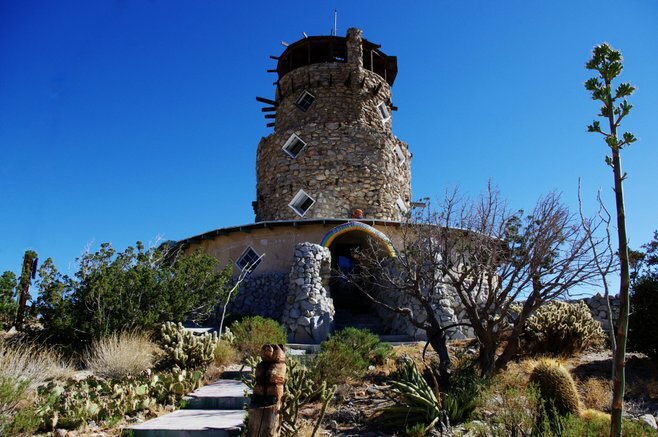 One of the weirder haunted attractions; this is a vintage roadside attraction from the 1920s, the Desert View Tower just outside San Diego has been the target of many ghost hunting expeditions. The Tower itself is an attractive three story stone tower, which looks like something ripped from a medieval castle. Inside is a small museum and an observation deck, where visitors in the past could look out on the San Diego landscape. Paranormal investigators seeking to understand the Tower’s haunted attractions have had the most luck using EVP recorders. One group was able to capture, very clearly, the sound of an Indian chanting in his native tongue in the museum, and a number of men and children screaming for help. Nobody knows what exactly happened at the Desert View Tower, but it was something bad. Those who were there to witness it are still there in ghostly form, and they seem to want to make contact. 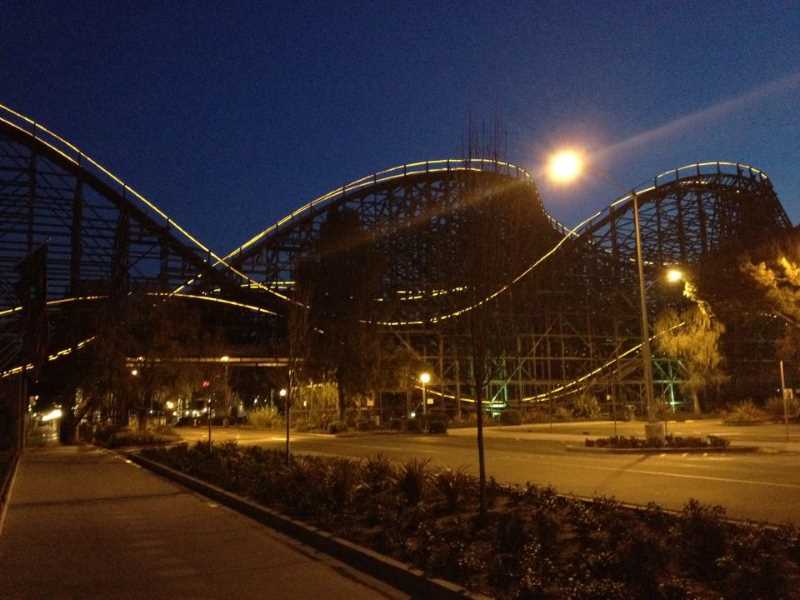 This popular amusement park outside Los Angeles has had a number of “firsts” in the roller coaster industry. It was home to the first looping rollercoaster and the first rollercoaster to go over 100 MPH, among other things. 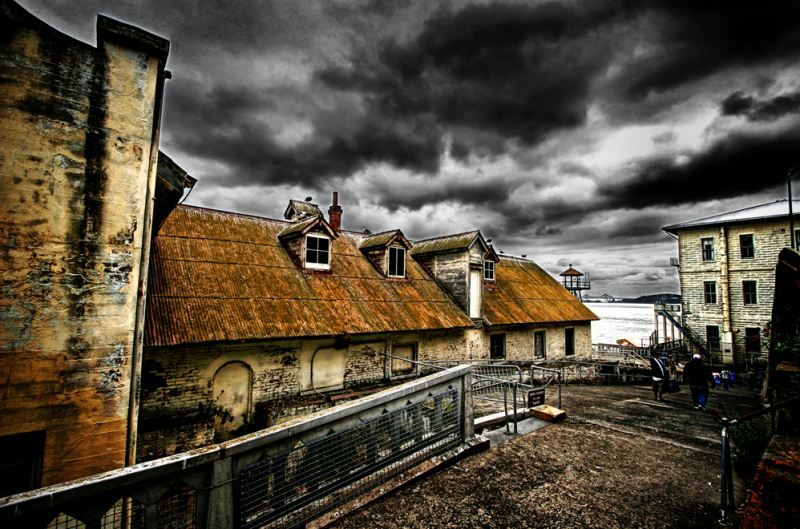 It also holds the distinction of being one of the most haunted attractions around. There are several paranormal entities who make their home at Magic Mountain, and they are on the rather scary side of things. The Jet Stream water ride is home to a “gray man”. He’s tall and thin and, well, gray, and he can sometimes be seen standing on the edge of the water. Sometimes he’s bolder, and will pull the hair of riders. The Psyclone ride was the scene of a death many years ago, before modern safety restraints were installed. The woman’s harness came undone during the ride, and she was flung against the walls of a tunnel. Today, maintenance workers report they can sometimes hear her walking around inside that tunnel. They hear it even if they hold perfectly still, and nobody else is around. 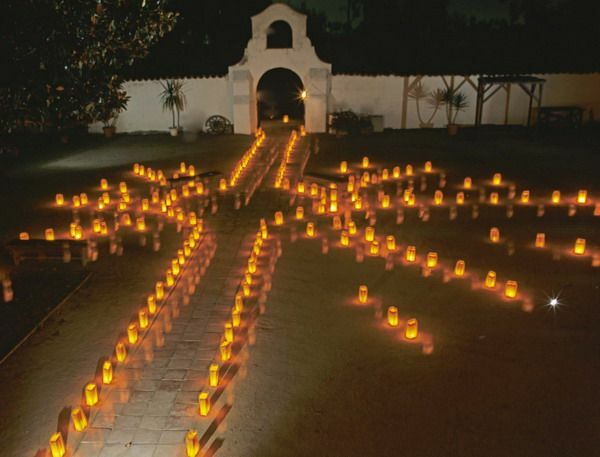 This historic estate in the sleepy town of Ventura was the scene of a horrific murder back when it was a plantation. The estate owners, the story goes, were very kind to their servants and the residents of their land. Their friends were not always so. When a houseguest murdered a servant girl and hid her body in a pantry, the noble family did not take kindly to it. The son rode out on his horse with a posse of rancheros and hung the culprit from a tree. 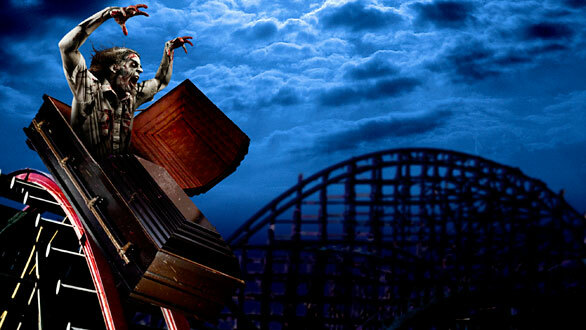 Today, it’s one of the most popular haunted attractions around. The ghosts of both the poor maid and her assailant can be seen and heard, along with a multitude of cold spots and EVPs. Legendary ghost hunter Richard Senate filmed a documentary there, and was able to capture many of the ghosts on video. 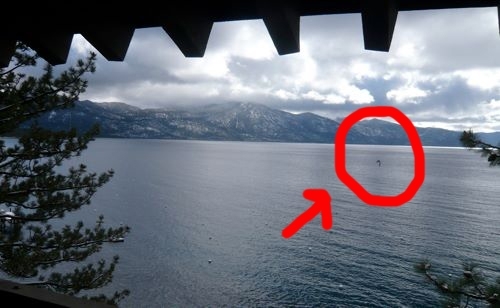 Lake Tahoe, straddling the border between California and Nevada, is very proud of the haunted attractions of its very own cryptid. Tessie, thought to be a cousin of Nessie the Loch Ness Monster, is said to inhabit the lake. She’s been spotted innumerable times over the years, and has inspired everything from the name of a sandwich at the local diner to a kids’ cartoon show. The monster, although she would almost certainly be happy to eat any humans who crossed her path, is much loved by the people of Lake Tahoe. Speculation runs rampant as to her exact nature. She’s been called everything from an alligator gar (a 30ft fish that looks like an alligator) to a mass of slick black tentacles, each 20ft long. 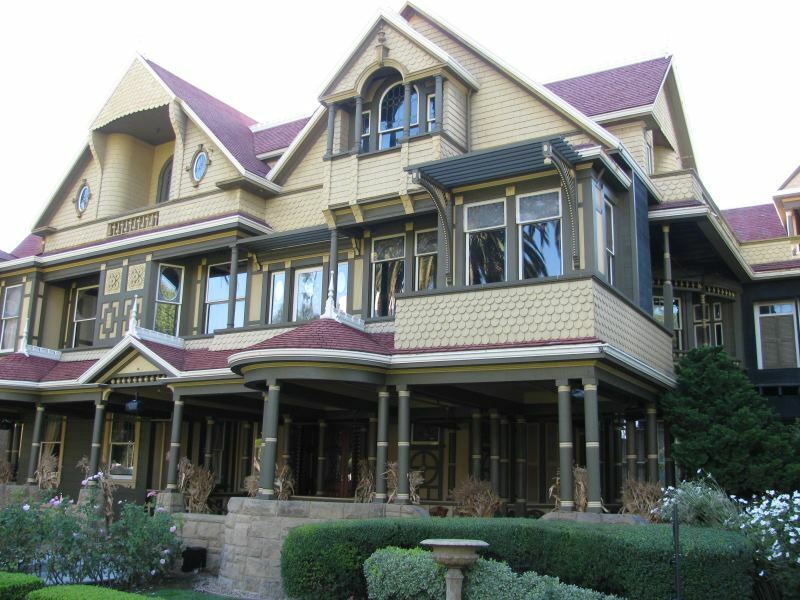 Say the words “haunted attractions”, and it’s likely that the Winchester Mystery House pops right into your head. The residence of the extremely wealthy and quite possibly extremely insane Lady Winchester, wife of the gun magnate, is absolutely notorious for its paranormal activity. Lady Winchester was well aware of it, and she very deliberately built the house to confound and confuse the spirits. Her belief was that they were the ghosts of people killed by her husband’s products, and each morning she would perform a séance to determine how best to avoid their wrath. Doors that lead to nowhere, staircases with hundreds of tiny steps, and architecture that deliberately confuses and baffles the eye are everywhere. Did it work? The house is still there, and welcomes visitors. Having served as a World War II troop transport, a cruise liner, and a refugee transport, the Queen Mary today enjoys retirement. Nothing to do here but look at some old photos, enjoy the sun, and be assaulted by a spectral engineer who has been dead for 60 years. There are still ghosts aboard, of course. That’s why it’s one of California’s most haunted attractions. 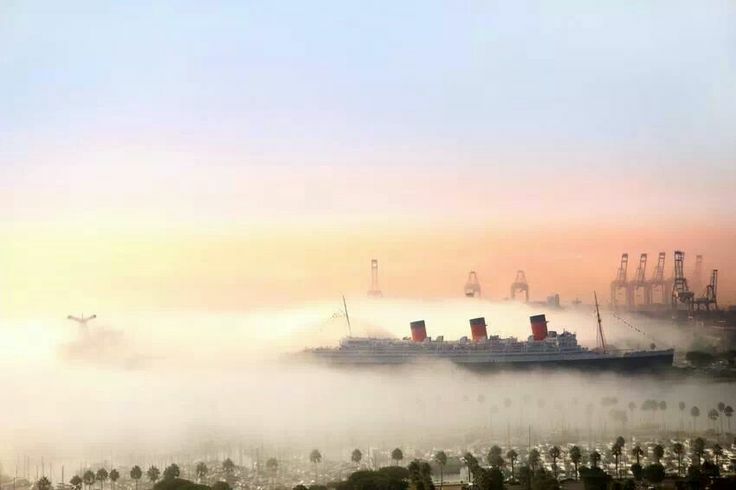 There are many, many tales of the spirits that infest the Queen Mary. The most psychically active spot is the old engine room, which is where many ghost hunters focus their efforts. Just about every paranormal phenomenon you can imagine has been detected here, from floating orbs to visible apparitions. Another of California’s many amusement parks, Knott’s Berry Farm’s haunted attractions draw in ghosts and ghost hunters alike. Chief among the spirits that inhabit Knott’s is the one upstairs in Virginia’s Gift Shop. Her spooky but ultimately harmless actions include audible noises, EVPs, and occasionally knocking small items off of desks. She lives in the employees-only area, and her antics are common enough that some new workers in the shop are specifically told up front that there is a ghost. Psychic mediums have reported a heavy presence in the room. The site of a now-demolished Dinosaur Ride, where there is now a Johnny Rockets restaurant, is still home to the ghost of a maintenance worker. He appears there sometimes late at night, often accompanied by the ghost of a young child. They are quite visible to the unaided eye, should you be lucky enough to encounter them. 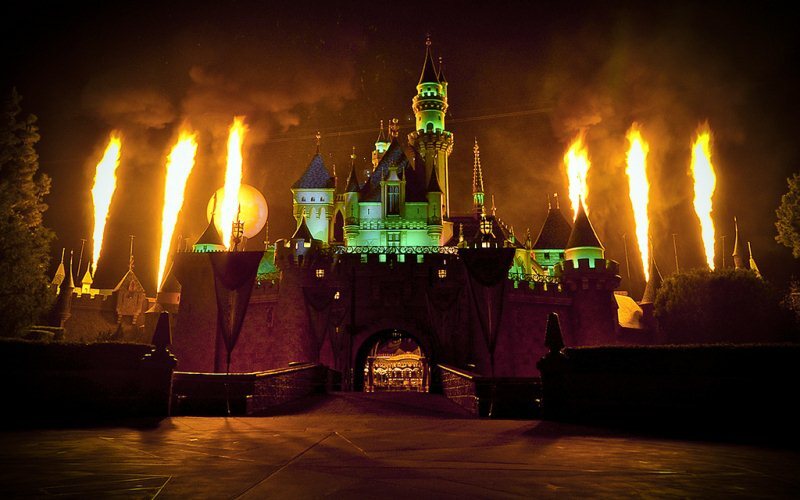 It’s impossible to talk about haunted attractions in California without mentioning Disneyland. 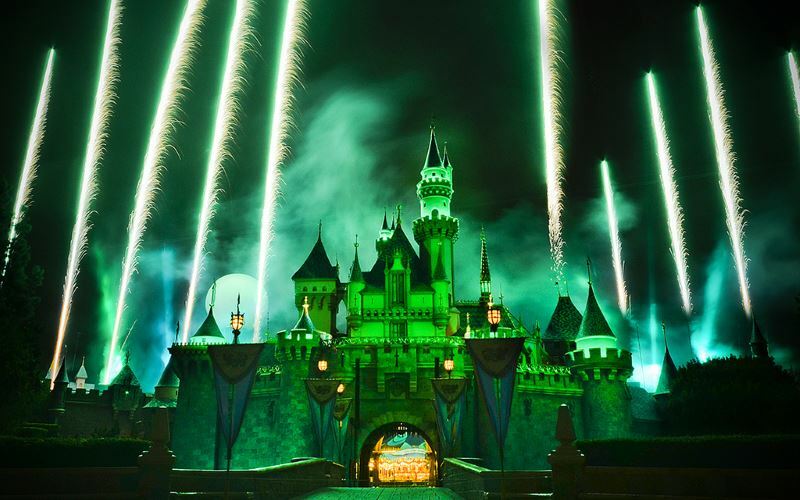 The Happiest Place on Earth is also one of the most haunted, with scores of ghosts and unexplained occurrences across the entire park. Walt Disney, the eccentric founder of the Disney empire, has been seen all over Disneyland at various times. Most commonly, he is thought to still inhabit his old apartment above Main Street. His disembodied voice will tell maintenance workers to “be quiet!” or “get out!” if he feels they are disturbing his work. Don’t even get started on the Haunted Mansion. Besides the animatronics, it’s home to the ghost of airplane pilot who crashed into the park in the 1940s. Park employees patrolling the ride after shutdown have seen him walking with a cane around the loading area where visitors board the ride. There are so many stories of Disneyland’s ghosts that it’s impossible to list them all here. Visit with an open mind, and rest assured you will find them.